Once again this Sunday featured more exciting action. Today's top quad was won by National Master Alberto Ruiz with 2.5/3. Quad two saw a tie between Brent McCreesh and Eugene Ulyanov with 2.5/3 each. 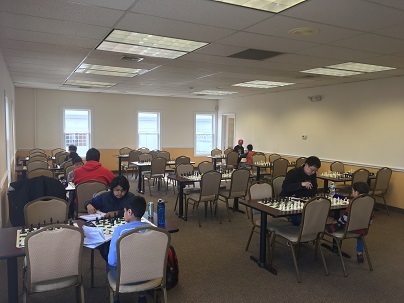 Sahil Vora won quad three, also with a score of 2.5/3. 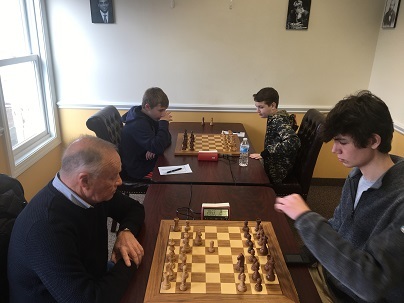 Finally, quad four saw a dramatic situation arise where after two rounds, all four players were tied with 1 point each and all were mathematically able to win clear first. 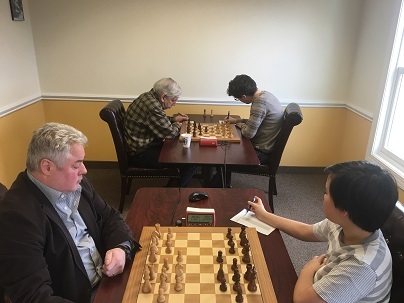 Kevin Liu and Aidan Yang both won their final round games to share first with 2/3 each.